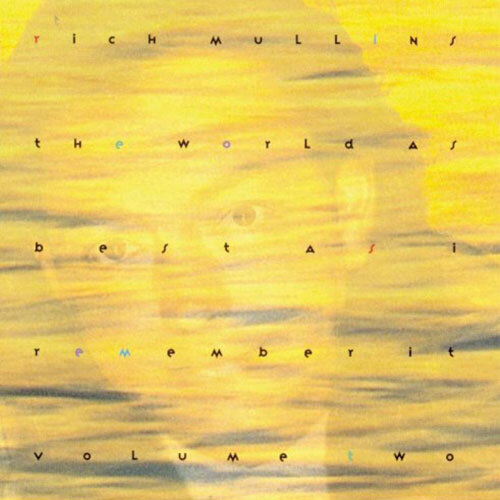 Rich Mullins: vocals, Piano, Lap Dulcimer, Hammered Dulcimer. Steve Brewster: drums, rototoms, Fingersnaps, Footstomps, cowbell, Suspended Cymbal, Culligan Water Bottle. Background Vocals by Lisa Glascow, Mike Eldre, Michael Sandifer, Stephanie Hall, Camille Renaldo, Mark Ivey, Owsley, Millard Powers, Kevin Max, Billy Simon. The Choir: Donna McElroy, Vicki Hampton, Kim Fleming, Mervyn Warren, Vince Ebo, Bob Bailey, Howard Smith, Emily Harris, Robin Johnson. Executive Producers: Michael Blanton, Don Donahue. Engineered by Ronnie Brookshire, Billy Whittington, Lynn Fuston, Rick Will, Steve Bishir and Reed Arvin. Mixed by Rick Will at Soundstage Assisted by Melanie Jones. Mastered at Mastermix by Hank Williams. Art Direction by D Rhodes and Buddy Jackson. Design by Buddy Jackson for Jackson Design.